Upon receipt of the PCBs from Express PCB (EPCB), I carefully inspected them for possible manufacturing defects, although I didn't expect to find any. 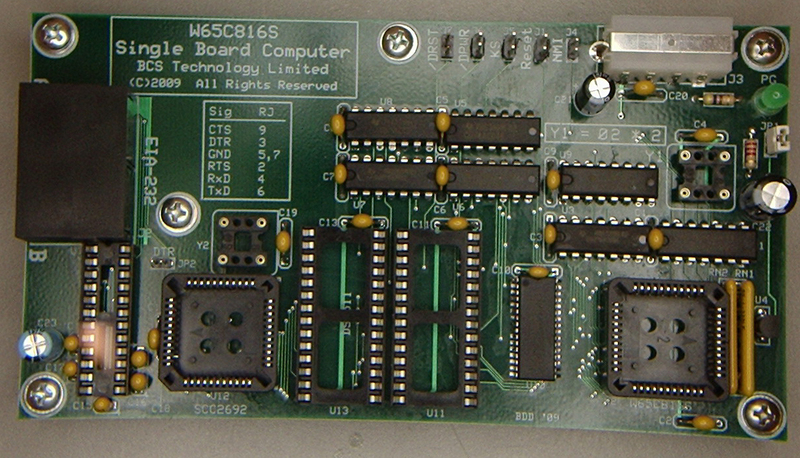 As I earlier said, EPCB's products have always been consistently high in quality and these boards were no exception. Everything was exactly where it was supposed to be and the solder mask and silk screening looked great. This is in sharp contrast to experiences I have had with some Asian board houses, where messed-up silk screening, defective via, exposed copper and other maladies seemed to be routine. Although the SRAM's pins are on 50 mil centers, manual soldering isn't too difficult. I clamped the PCB to the bench and applied liquid solder flux to the PCB pads. Aside from its usual purpose, the flux helps to keep the part in place while soldering the first pin. Using a 40 watt iron equipped with an 0.032 inch chisel tip and set to high heat, I soldered the diagonally-opposite corner pins, using 63/37 rosin core solder. 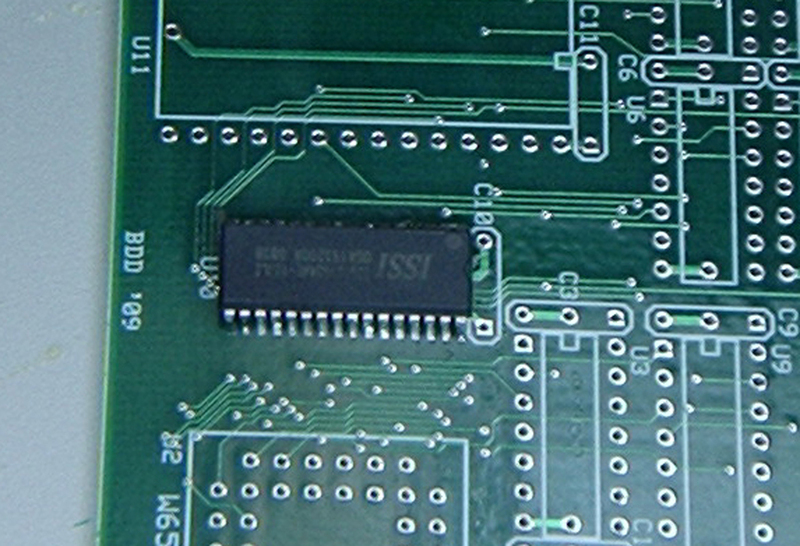 The technique is to put a drop of solder on the iron's tip, hold the part in place with tweezers, and then touch the tip to both the pin and the pad on the PCB, and keep it there until the solder and the reflow on the pad run together. Remove the tip and let the joint cool. Repeat for the other pin and the part is secured in place. After a second check to verify that the part was correctly installed, I thoroughly cleaned and tinned the soldering iron tip and then soldered the remaining pins using a drag technique. With this technique, I don't attempt to avoid bridges, as they are readily cleaned up with desoldering braid. The key to a successful conclusion is to not get carried away with the amount of solder on the iron's tip. You want just enough to keep wetting the pins as you go, without too much build-up. If you do get a bridge, clean and tin your iron's tip and use it to press the desoldering braid down on the bridge. The braid will soak up the solder and you should have a nice, clean joint. Incidentally, all SMT packages are designed to be soldered in reflow ovens, a process that exposes the part to a temperature around 450° F or 218° C. Therefore you need not worry about damaging the part while manually soldering, as long as you don't take too much time. Keeping your iron's tip hot and clean helps speed along the process. I've also had success in salvaging SMT devices using a heat gun to desolder them. After a close visual inspection of my soldering handiwork, I tested for continuity and shorts at every pin, which checked out okay. 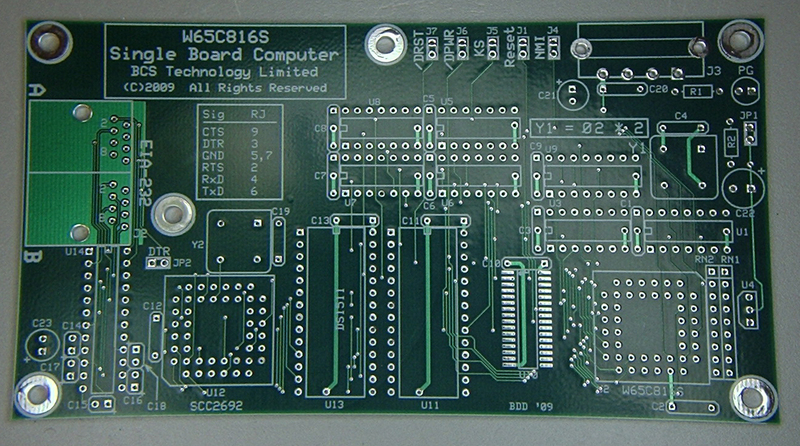 I also metered between Vcc and ground to make sure that the soldering process didn't create a short. 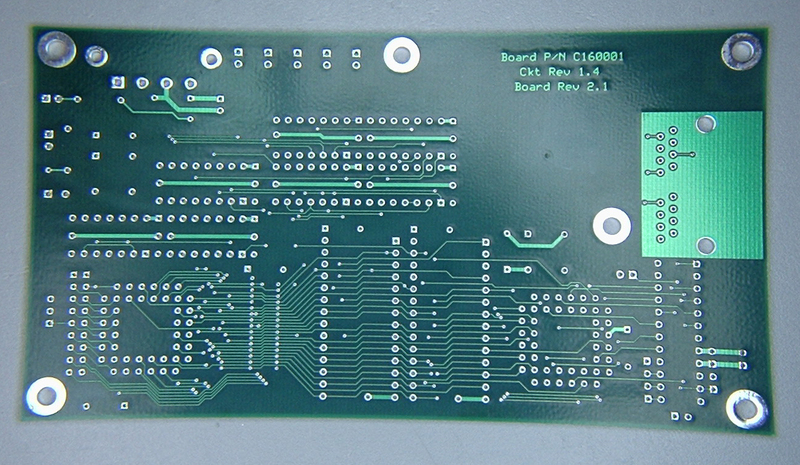 The continuity and short checks are especially important with SOJ type packages, as the point of contact between the pins and PCB pads is under the part, where it can't be readily inspected. While POC V1 was in the "semi-populated" state, I metered between Vcc and ground once more to check for a possible short. The meter indicated that something wasn't right, as the DC resistance, which should have been very high, wasn't. Careful examination of the unit revealed that I had inadvertently installed one of the electrolytic capacitors backwards. 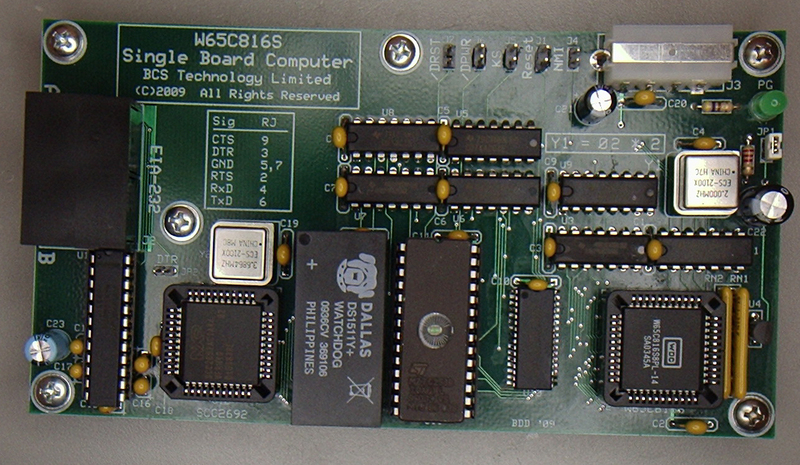 After removing and reinstalling it the right way the Vcc–to–ground check was okay. 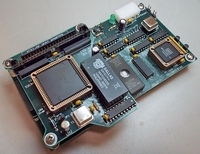 With assembly completed, there was but one thing left to do, and that was to see POC V1 would go or blow. Needless to say, I was hoping for the former—not the latter!